Valentine’s Day is one of our favorite holidays. Not because of the heart-shaped boxes of chocolates or stuffed teddy bears, but because it’s your chance to cook with foods that are proven aphrodisiacs! This is the best dessert to make if you are in the mood for some serious chocolate, and kisses! The cooling touch of mint balances out the richness of the dark chocolate, making them pretty darn delish. For Your Smarts: With these truffles, you are getting a double dose of antioxidants. We’re using cocoa powder inside and outside the truffles. Cocoa powder is about 8% antioxidants by weight — so that’s more than a glass of wine or cup of tea! For Your Parts: Mint doesn’t just taste refreshing, it’s actually working to soothe your stomach and digestion. It’s considered a powerful digestive aid and anti-spasmotic because of its antioxidant-rich oils. Spork Foods is a Los Angeles-based gourmet vegan food company owned and operated by sisters Jenny Engel and Heather Goldberg. 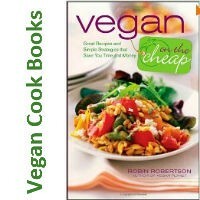 They offer live cooking classes in Los Angeles at Spork Foods (www.sporkfoods.com) and an online vegan video cookbook at www.sporkonline.com. Their cookbook, Spork-Fed, is currently in stores, with a foreword by fellow fans and sisters, Emily and Zooey Deschanel. 1. Fill a small (2-quart) pot with about 2 inches of water, and bring to a simmer over medium heat. Place a glass or metal bowl on top of pot to create a double boiler. 2. Add chocolate chips and melt, about 3-4 minutes. Add coconut milk, peppermint extract, mint, sea salt and 2 tablespoons cocoa powder, and incorporate until uniform. 3. Transfer mixture to a bowl and refrigerate 2 hours to overnight. Remove from refrigerator and leave bowl on counter for 5-10 minutes to soften mixture before rolling truffles. 4. To roll truffles: Place remaining cocoa powder in a shallow bowl or plate. Use a melon baller or spoon to scoop a gumball-size dollop of the chocolate mixture. Roll into balls between palms and immediately coat in cocoa powder, or other toppings of choice. 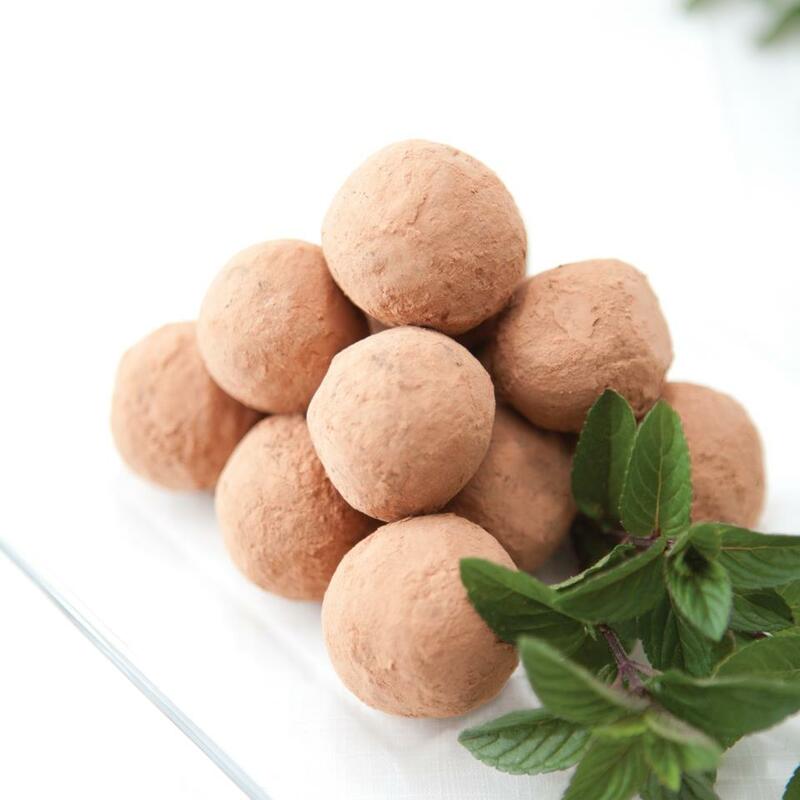 Note 1: Try using mint varieties like chocolate mint, peppermint or spearmint for a different flavor in these truffles, and choose organic when possible, because conventionally grown mint is sprayed with a bunch of pesticides! Note 2: Double check your chocolate chip ingredients if you are gluten-free, to be sure barley is not in the list. Let us know what you think of this easy vegan recipe: Chocolate Mint Truffles (Gluten-Free)!